There is a new and easy way to learn a language and it is not the Rosetta Stone. It’s actually just a Google Chrome extension! 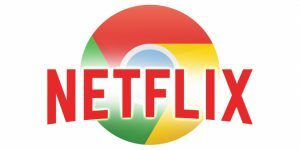 Language Learning with Netflix is a free Google Chrome extension that makes it easy to learn a new language while watching Netflix. It allows two subtitles on in two different languages at the same time to visualize the words that are being said and directly translating them to the viewer’s native language. Also, hovering over a word creates a pop-up dictionary and the ability to replay that single word. There are recommended movies and shows on Netflix to study from, but the point is to make language learning fun and comfortable. It is a great form of multi-tasking; watching your favorite movie and learning another language. Many people don’t learn more than one language because it is timely and costly. This puts a productive twist on watching Netflix. It is also available for free to anyone using Google Chrome. Google Chrome is making it possible to start learning another language in the comfort of your own home and for no cost. It also doesn’t require much effort to get it started. It is just an addition to the top of your browser. Just like other emerging technologies, this is only another example of a simple way to do a complicated process in a more efficient way. The Chrome Web Store offers many other extensions that provide helpful services such as Cite This For Me, a website citer, or ChromeVoX, a screen reader. What is another helpful service that could be offered right from your browser in a Google Chrome Extension next? This new technology resonated with my past experiences. I also use a similar method when I had first start to learn English after my immigration. Instead of comparing two subtitles to learn a new language, I had compared English words with pictures as they transcend languages. I can see how this new feature would immensely help people learning language as like exercise, people only commit to something if there is an intrinsic motivation. Not many people would like to study hard but if they can learn languages by watching their favorite movies, then they would jump at the chance. The only downside to this feature is that people must multitask between two subtitles and the movies itself. I do not know the effectiveness of learning languages this way compare to the single mindedness of traditional learning. This is definitely a cool new way to learn a language. I think that this could definitely make learning a new language fun. I took four years of French in High School, and don’t remember a thing. I think that learning a language could be easier when it involves something that the learner is already interested in, such as watching a favorite show. I would be curious to see statistics on what users find easier, and what is more effective when it comes to learning a new language. Learning a language is tough but also has tremendous value especially in the business world. New easier ways like this to learn a language only make it less intimidating to learn, and I welcome that.